Want strong, reliable, and portable spill containment? These quality Vehicle Wash Mats assist with water reclamation and spill containment, reducing wash water runoff. 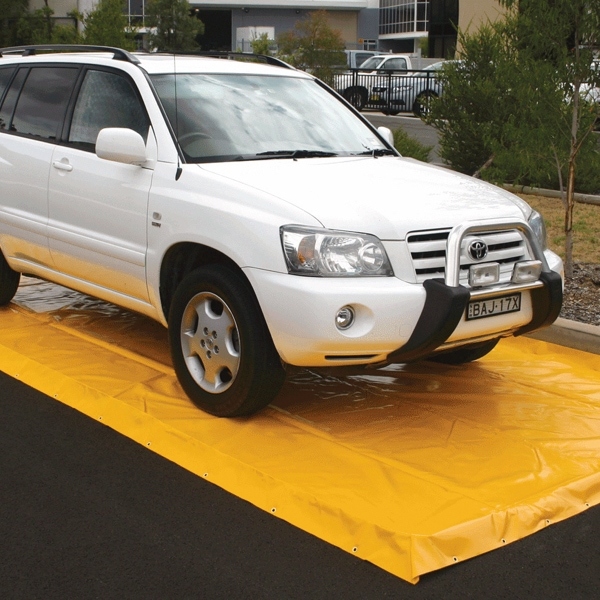 Our large, light weight and durable vehicle wash mats are a standard size of 6m x 3m and made from 910gsm PVC with drive over memory foam ends. Suitable for most standard vehicles.